It’s not often I go out to eat on Sundays, but when you’re friend works in the restaurant herself, there isn’t much choice, but looking for a place to go I realised most restaurants are closed for dinner on Sundays. Not surprisingly as Sunday lunches are a big deal in Britain, but still disappointing. 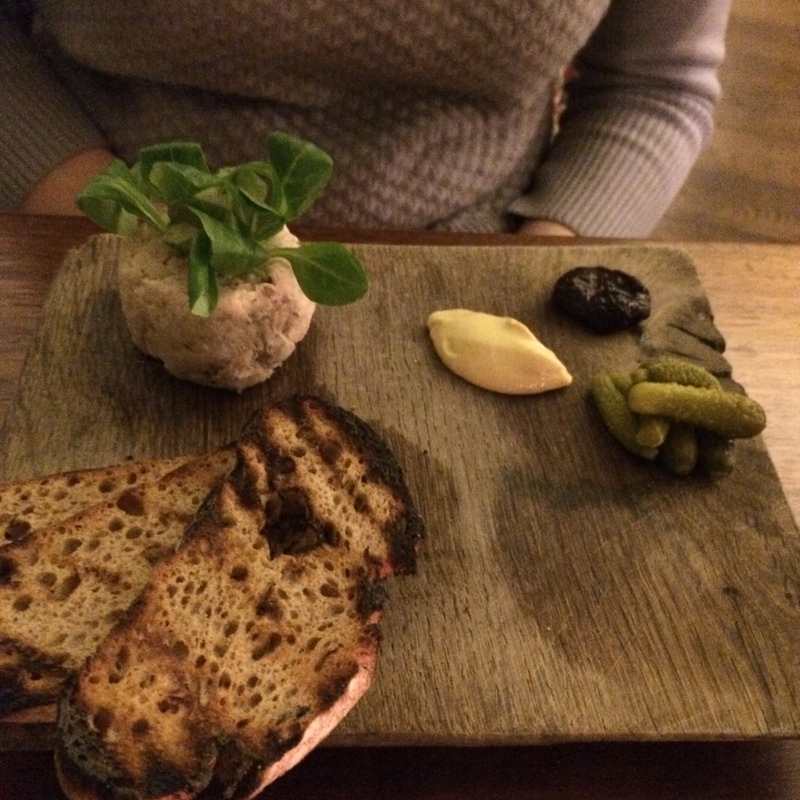 Luckily there are nice restaurants open, and we went to Bistrot Bruno Loubet in Clerkenwell. As the name suggests the food served here is French bistro cuisine, which we very much enjoyed. There aren’t any twists or much innovation here – but in a good way. Instead the food is traditional and very well executed. It is not easy cooking simple food well! Helen started the meal with the rillette which was quite plain, i.e. no twists, but still very good. 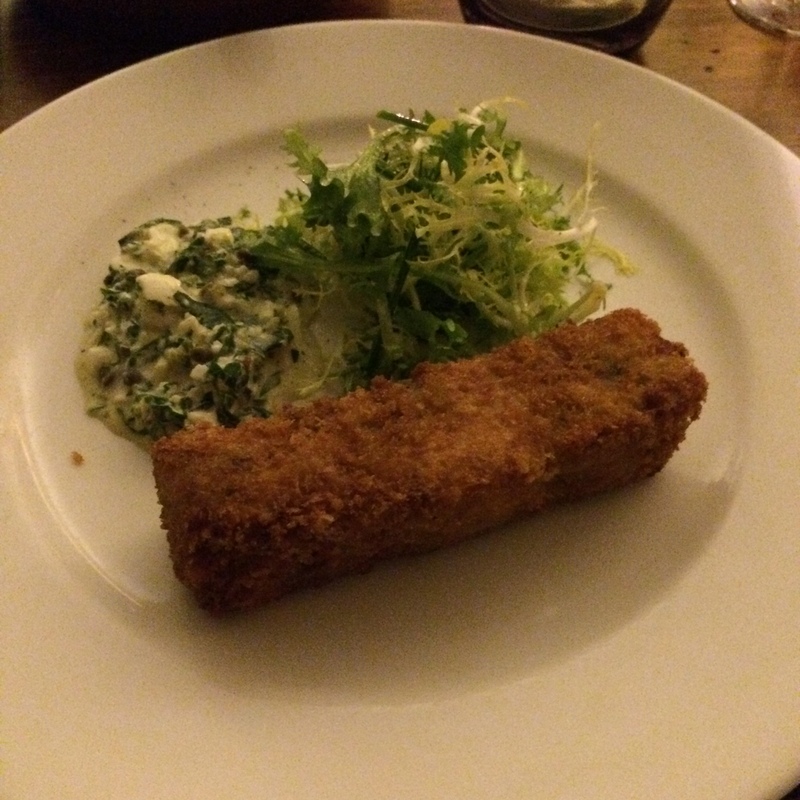 I chose the pig’s head and got this wonderful big croquette and a sauce with eggs, capers, mayonnaise and herbs. Very good! 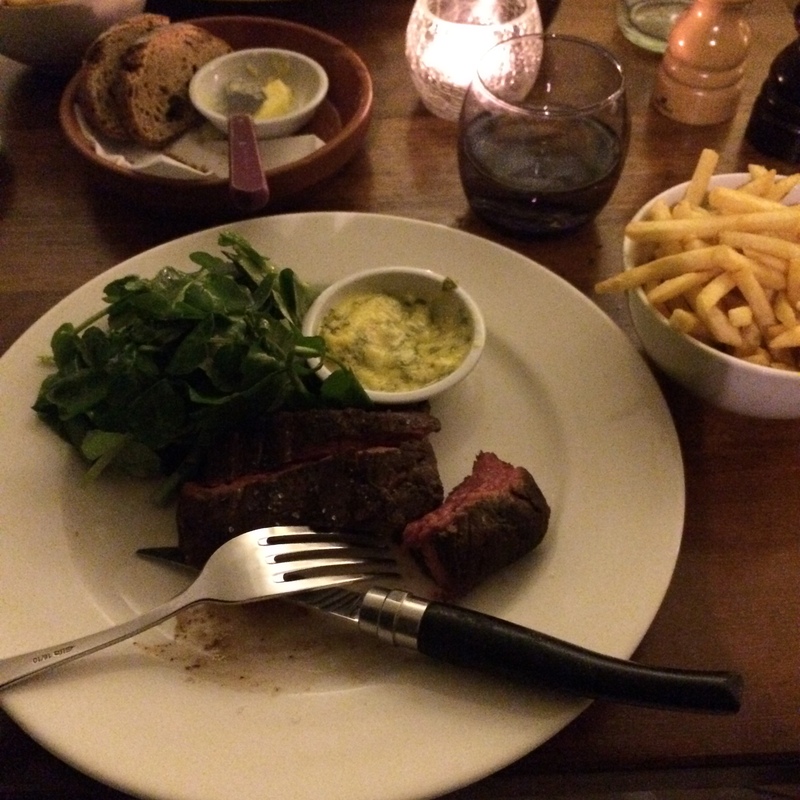 We both had the bavette with chips, salad and bearnaise sauce for our mains and it was very good. In fact one of the better bearnaise sauces I’ve had in a restaurant! It was thick, not too acidic and lovely!